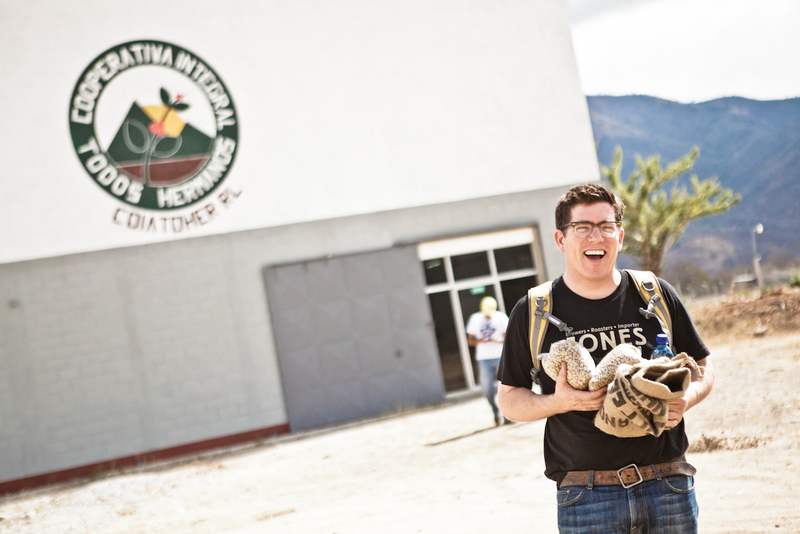 Chuck Jones leaving an organic co-op in Zacapa, Guatemala, with green and parchment samples. Photo: Ben James, Empty Space Studios. 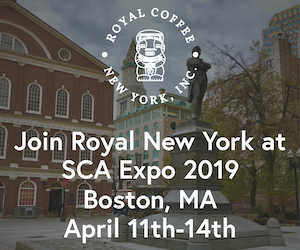 The 1990s and early 2000s saw the rise of independent coffeehouses and roasters in the United States, running parallel to the growth of chain coffee shops such as Starbucks and Peet’s. 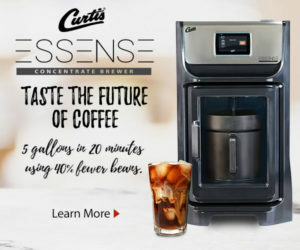 On a quest to create something new while keeping with the coffee zeitgeist of the time, Charles (Chuck) Jones founded Pasadena, California-based Jones Coffee Roasters in 1994. Starting out as a wholesale roasting operation, Jones Coffee expanded into retail with its first cafe in 2000. 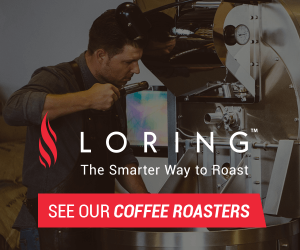 For more than two decades, Jones Coffee Roasters has been a stalwart specialty coffee roaster in Southern California — staying true to its roots while also adapting to, or sometimes ignoring, the prevailing trends in coffee. Chuck Jones cupping high quality coffee at Asociación Chajulense Va’l Vaq Qujol, an organic co-op in Chahul Guatemala with almost 1,500 members. Photo: Ben James, Empty Space Studios. 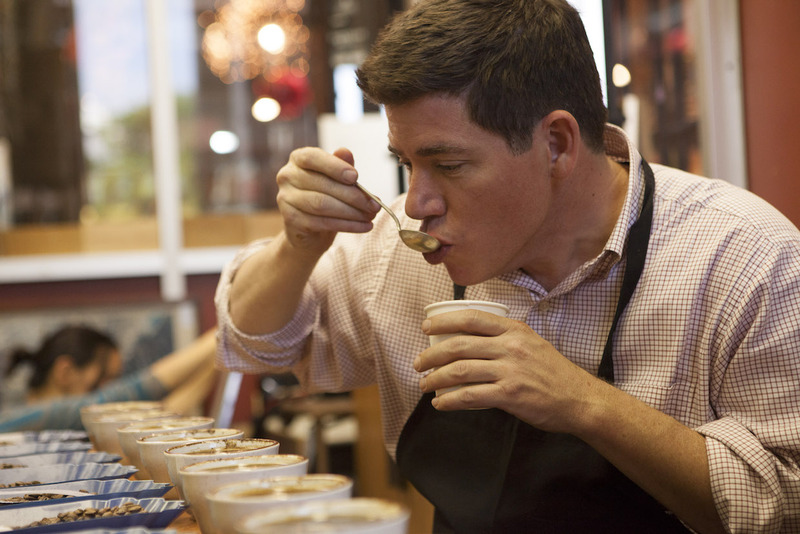 Jones got his introduction to coffee at the age of five, when he visited his family coffee farm in Guatemala. 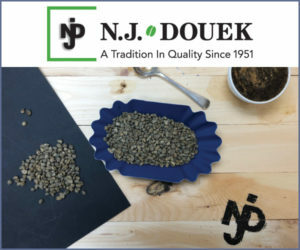 His first job in coffee was selling green coffee for his grandfather, hauling it through New Mexico, Colorado, and Arizona with his brother, seven bags at a time. We caught up with Jones to talk about his 25 years in coffee, his approach to roasting and coffee development, and how sustained relevancy isn’t about “chasing markets” or following trends. 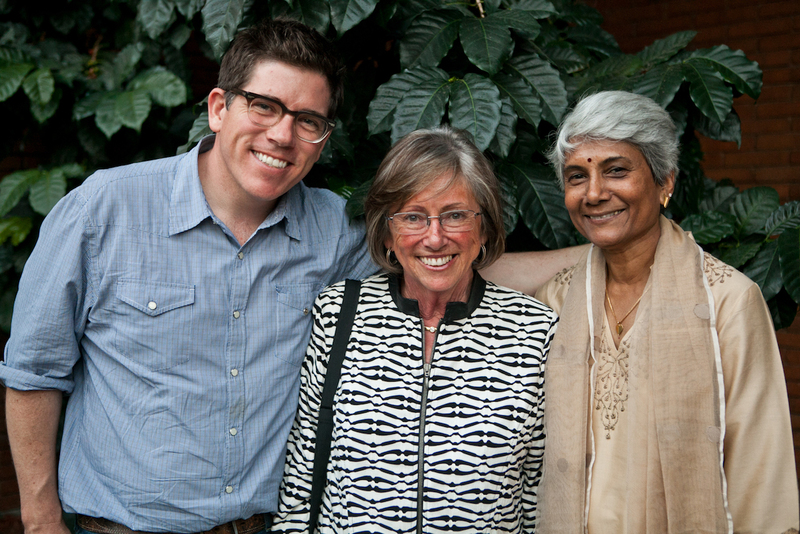 Chuck Jones celebrating with his mother, Mireya (center), and Sunalini Menon at the III International Convention for the IWCA in Guatemala. Photo: Ben James, Empty Space Studios. 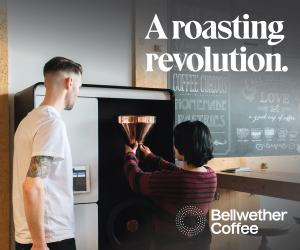 Lily Kubota: Having been around since the early 1990s, what has your company done to compete with the growing number of new shops and roasters in your area? Chuck Jones: Relationships. We have deep ties in the local community and we’ve taken over a thousand people down to the family farm over the years — coffee professionals and community leaders alike. We’re not super concerned about being trendy. I think chasing markets can work against you — you can’t be everything to everyone. We want a welcoming, approachable place for anyone to come in and have a coffee, and learn about it and where it’s grown. We talk about coffee at service clubs once a month — how it’s processed and roasted, and we do tastings. And that brings people in. Our happy wholesale customers bring people in, as well. Really, you have to spend a lot of time on water specs, keeping your equipment clean and your grinding burrs in shape, and barista training — and not letting coffee sit around too long — to keep your drinks tasting good and people coming in the door. These things are enough work to keep you busy, yet a lot of retailers forget about them. You can’t let it slide if you want to serve a quality product. These things are more important than trying to be relevant in other ways. Chuck Jones cupping coffee at Jones Coffee Roasters in Pasadena, California. Photo: Don Ptashne, laphotopro. LK: Can you describe your philosophy or approach to roasting? How has this evolved during the time you’ve been roasting? CJ: We are what I’d call a ’90s-style roaster. Not quite third wave, more like 2.5 wave. The earliest we release the beans is when they start second crack in the tray. We like a little more caramel and toffee in our roast profiles. I’m fairly sure that standard third-wave coffee discharges the beans before the second crack, where you’d choose coffees that give you a bright acidity or citrus. It’s just a different style. It’s not bad; it’s just not what we or our customers want. 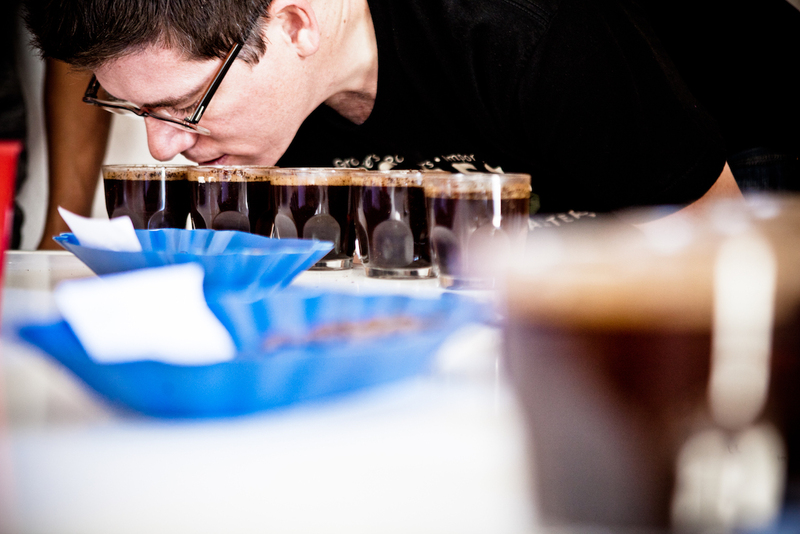 Tim Wendelboe sets the standard for light roast coffee, and he kills it. He is amazing. Alfred Peet did dark roast properly, but others that do it often go too far. 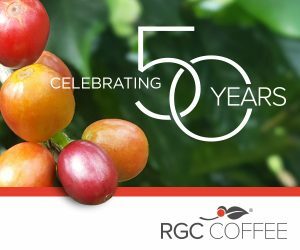 We’ve always chosen coffees that give us a sweet, creamy taste and a long finish, but our equipment choices have evolved over the years. 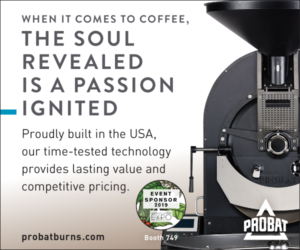 We used to have a Probat L12 and then a Probat G60 and then a Gothot 23, and now we have a Probat UG22. The L12 had bad airflow, so we would push the roaster where it didn’t want to go, which gave us an ashy taste to the coffee. We thought it was more of a carbon edge than ashy taste at first — we didn’t really know. Then when we got the Gothot which had unbelievable airflow, so we learned a new set of parameters to airflow. Now we’re back to a Probat with the UG22 and it has really great, controllable airflow, so we’ve been able to harness what we learned from the Gothot. 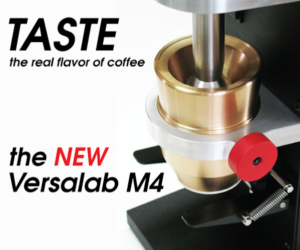 Our coffee has been tasting phenomenal. It’s been six months since we cracked the code on that machine. 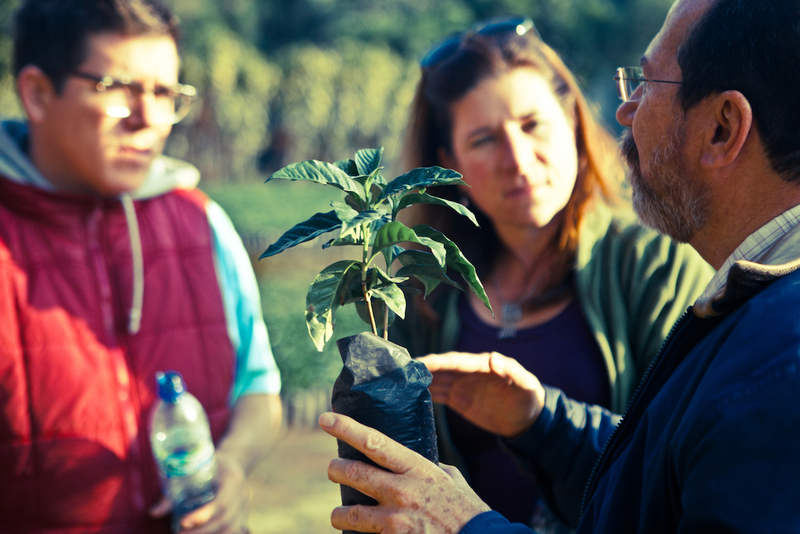 Chuck Jones and Lindsey Bolger learning about coffee nursery techniques that help combat nematodes. Photo: Ben James, Empty Space Studios. LK: What inspires you most about coffee? CJ: I’m inspired by the fact that coffee represents the counterculture. 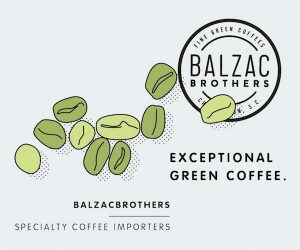 When you think about the history of coffee, there’s a cool factor to it, and it’s a genuine cool. People in and around coffee tend to be progressive, cognitive thinkers and anything but static, stagnant, or sedentary. And, coffee itself is a catalyst for change at almost every level. From things as simple as recycling to as complicated as cultural revolutions, it’s about people being innovative. 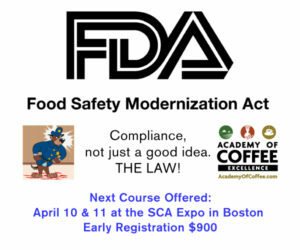 Coffee also offers something for anybody who wants to make their career in the industry. If someone’s interested in science, agriculture, marketing, or retailing, there are so many opportunities to get involved. 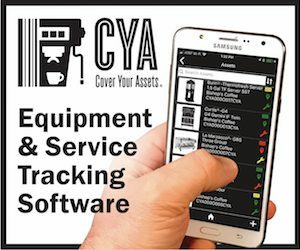 It’s so vertically integrated that all parts of the supply chain know each other. People can go from being a barista to a green coffee buyer. You can go as far as you want. There’s no ceiling. 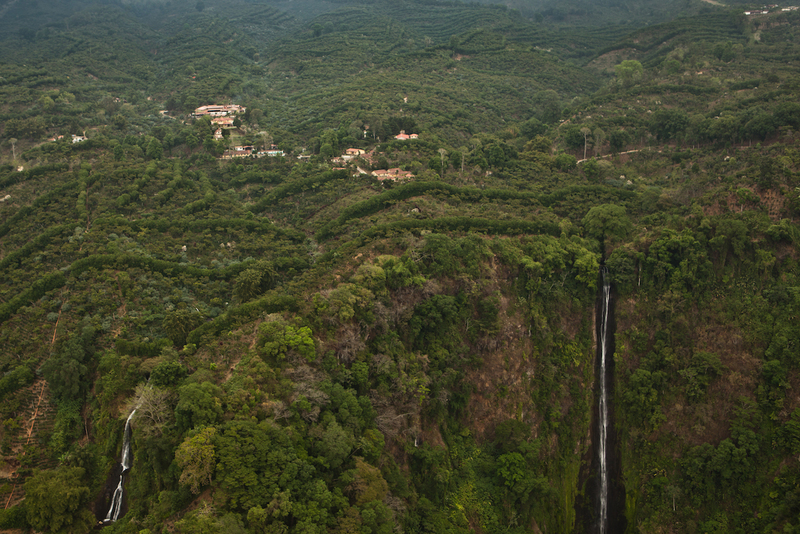 Finca Dos Marias, La Reforma Guatemala. Jones’ family has owned and operated this farm since the mid 1800’s. Photo: Ben James, Empty Space Studios. LK: What troubles you most about coffee? CJ: Probably the market commodity system. I don’t think anyone wants to talk about taking coffee off the exchange because it’s only going to hurt those that created the system and who benefit from it today, and those people have been privileged for a long time. 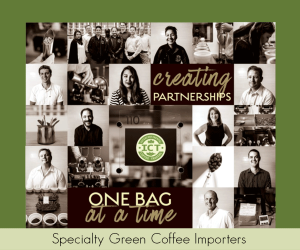 The coffee exchange means anyone can find replacement coffee that discourages relationships with growers. You can take the face away from the product — if it’s good enough, and has 0-20 defects, you’ll buy it. So, at the bottom level of coffee quality you can replace anyone’s coffee with someone else’s, which breaks the supply chain and relationships. I don’t know if this would turn out to be true, but I have a feeling that if coffee was traded as a non-commodity it would encourage higher prices for better quality. The industry should run computer simulations and models to see what would happen. What I do know is that my great uncles and grandfather were coffee farmers before and after the exchange existed. Before the exchange, people were proud coffee farmers. And now, farmers have no power, and they are pitied. No one wants to be a farmer anymore — even my family, where there is a rich history of it. 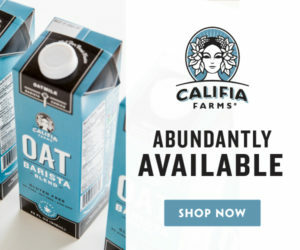 Even with third-wave coffee, there is poor pricing for farmers. Direct trade and relationship coffee are starting to make a dent in the problem, but it’s still really about the big coffee movers — espresso and coffee that’s being brewed in India and China. What’s happening with direct trade is such a small part of the market. 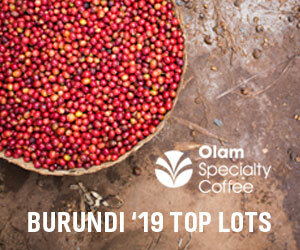 You can talk about how you spend $4-a-pound on a great coffee, but you’re probably still buying $2-a-pound coffees that are plentiful. 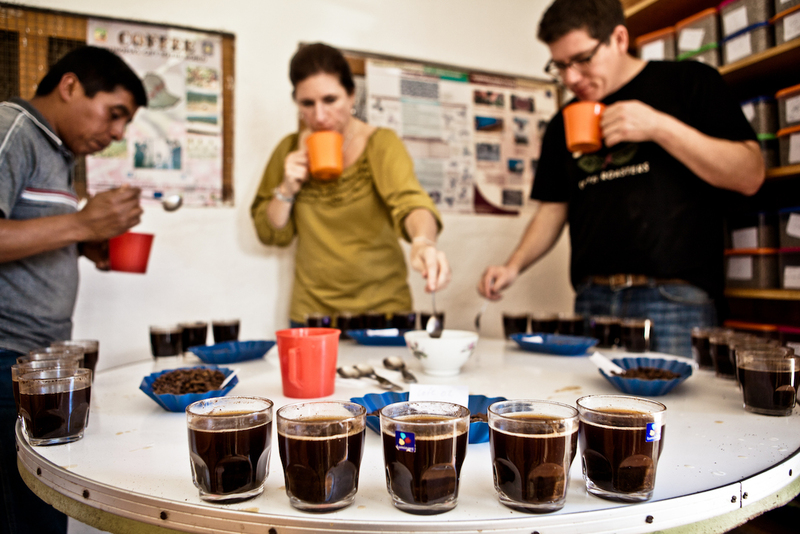 Chuck and Lindsey Bolger cupping with co-op members in Chahul, Guatemala. Photo: Ben James, Empty Space Studios. LK: What would you be doing if it weren’t for coffee? CJ: I’d be in the wine or tea industry. Both are innovative, culinary, and agricultural. I’m a consumer of these products, and they bring together people who like food and community. They’re also catalysts for community, much the way coffee is. LK: Do you have any hobbies or talents outside of coffee that most people don’t know about? CJ: I enjoy playing chess with anyone who will tolerate me, although I don’t play with my daughters anymore because they always beat me. I also enjoy single-handed sailing because it’s challenging and I don’t have anyone on the boat to distract me. Wine is also a hobby. I go up to my sister’s olive farm in Paso Robles and taste wines with my nephew, who’s in the wine business. And I love to travel, of course. 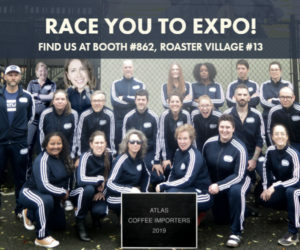 Who in the coffee industry doesn’t? LK: Are there any key people in your life who have influenced you or helped guide you on the path to where you are today? CJ: Joe Coulombe, the founder of Trader Joes, is a friend of my dad’s. We talk once in a while and he has a whole list of things he goes over with me. I think my favorite thing is when he says, “You don’t know where you’re going until you know where you are.” It’s not his original quote, but I think of that when I’m trying to figure out where I want to go in life, and in my business. It’s a good reminder not to put the cart before the horse. I’m always putting things in the wrong order, but Joe keeps me in check. What are some good facts and info. on the Kona Coffee popularity as well as the pricing to the public? I hear it’s a Premium Coffee but I don’t see much of any news here.